Danger of explosion due to improper handling of batteries! Corrosive hazard by leaking battery acid! Keep children away from batteries and acid! Smoking, fire and naked lights are prohibited when handling batteries. Prevent sparking and wear eye protection gear during installation. Solar modules generate power from light incidence. Even by low light incidence solar modules carry the full voltage. Therefore, work cautiously and avoid sparking during all work. If the regulator is operated in a manner not specified by the manufacturer, the regulator’s constructive protective measures can deteriorate.The factory signs and marking may not be modified, removed or made unrecognizable. All work must be performed in conformity with the national electrical specifications and related local regulations! When installing the regulator in foreign countries, information concerning regulations and protective measures must be obtained from the relevant institutions / authorities. Do not begin the installation until you are sure that you have technically understood the manual and perform the work only in the order provided in this manual! The manual must be available during all work performed on the system, third parties included. This manual is a component of the system regulator and must be included with the regulator when given to a third person. 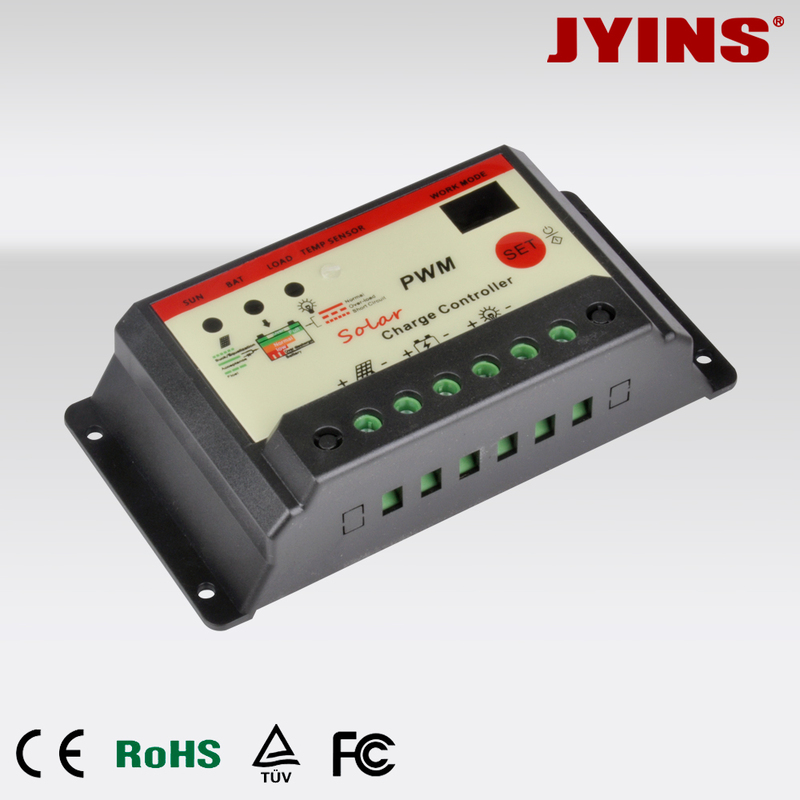 The Controller is equiped with a low power surge protection. The installer had to care for a efficient lightning protection. 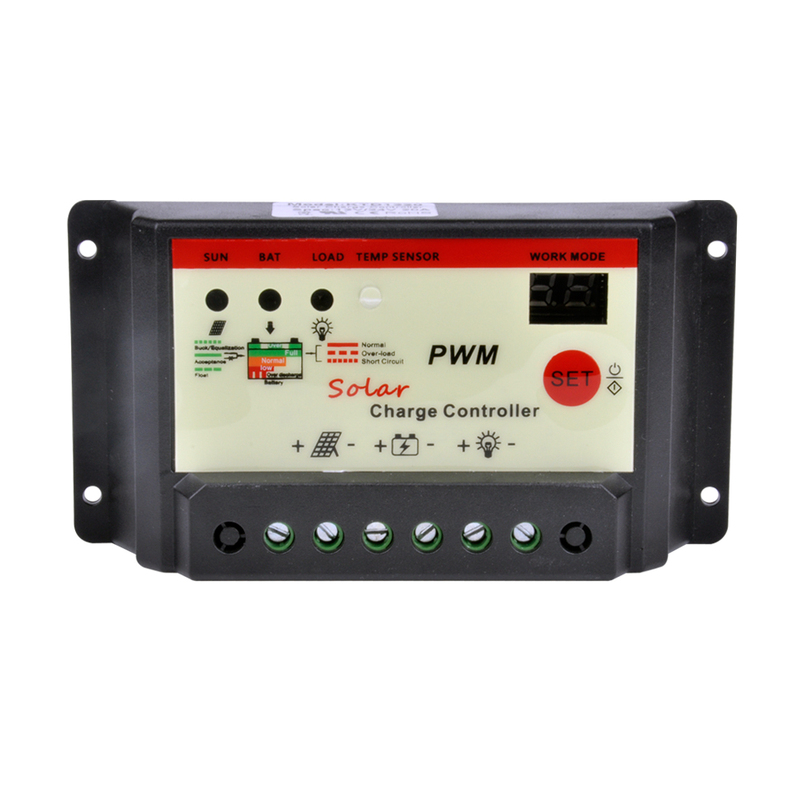 The charge regulator is only suitable for regulating photovoltaic solar modules. Never connect another charging source to the charge regulator. This can destroy the regulator and / or source. Important!The regulator is not suited for nickel Cadmium, nickel metal hydride, lithium ions or other rechargeable or non-rechargeable batteries. 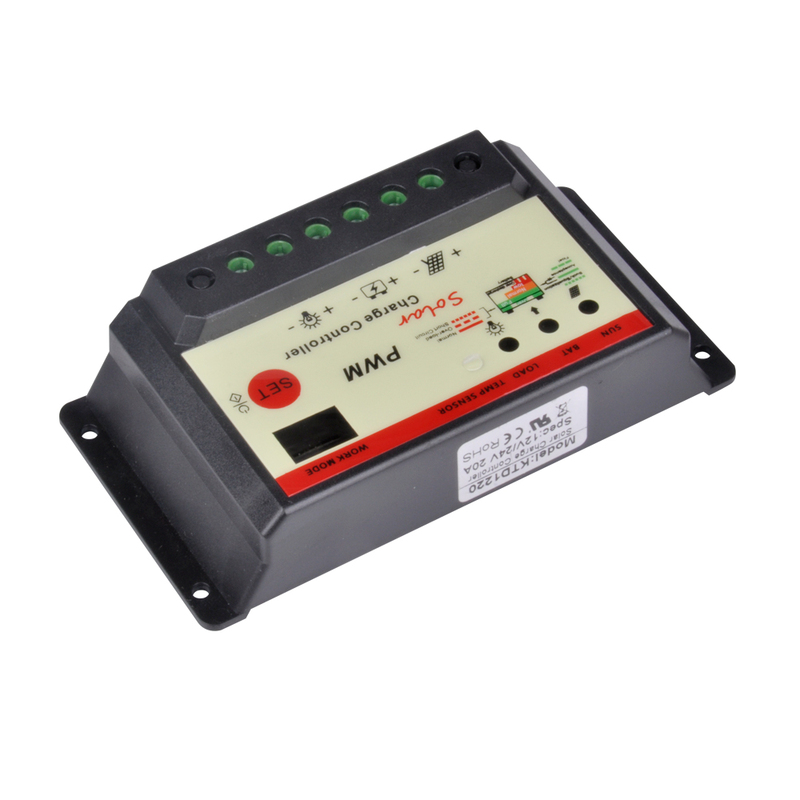 The regulator may only be used for the particular solar applications provided.Also,observe that the permitted, model-specific, nominal currents and voltages are not exceeded. 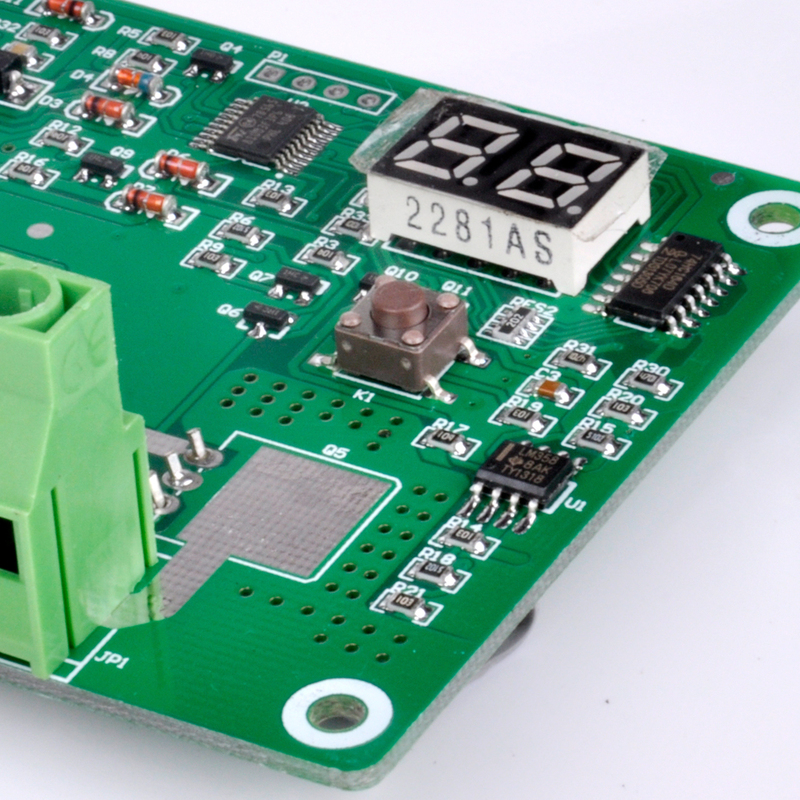 Install the regulator near the battery on a suitable surface. The battery cable should be as short as possible and have a suitable cable diameter size to minimize loss, e.g. 4 mm² at 20 A and 2m length.A temperature compensated final charge voltage will extend the batteries lifetime and uses the optimum charge capacity. Do not install the controller to direct sunlight. To ensure the air confection on each side keep a distance of 10 cm to the regulator. The reverse order applies when deinstalling! An improper sequence order can damage the controller!